A black and white silhouette of balance weighing scales. They are pretty large, and hanging from the roof and almost touching the floor. Mostly used for weighing grain in godowns. 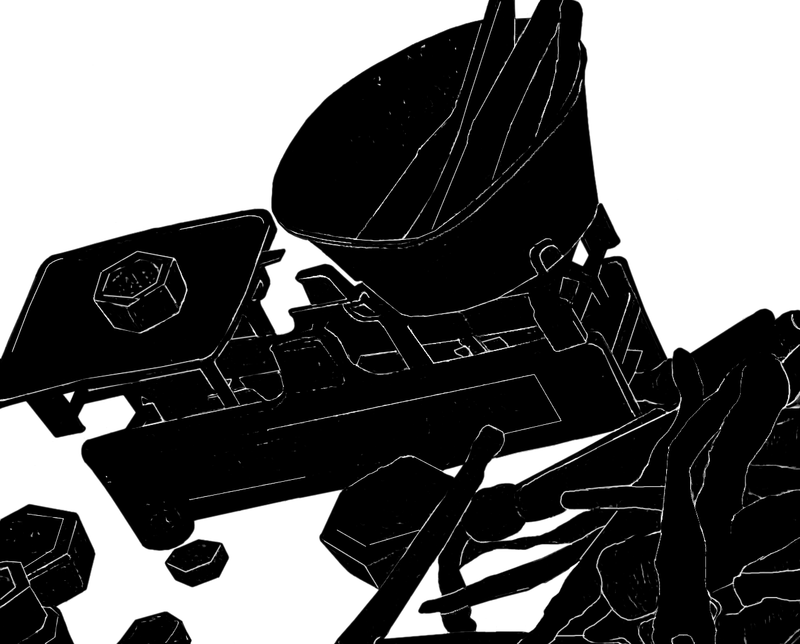 A silhouette of small manual weighing scales mostly used in developing and poor countries. Some carrots are lying inside one of the containers to be weighed. You might also like to see actual photographs of Balance weighing scales or Manual Weighing Scales which have a short description about their use and their function.